About 2 weeks ago, I wrote an article about the Swarovski Lovlots Sealife family moving into the Lovlots community. At the time, it was not clear exactly where they would reside in the Lovlots City. Since that time and with some investigation, I have found that the Swarovski Sealife characters do have a specific place within the Swarovski Lovlots City….Sealife Jack, Sealife Johnny, Sealife Danny, Sealife Gina, and Sealife Shelly & Sam reside in the Lovlots City Harbor! 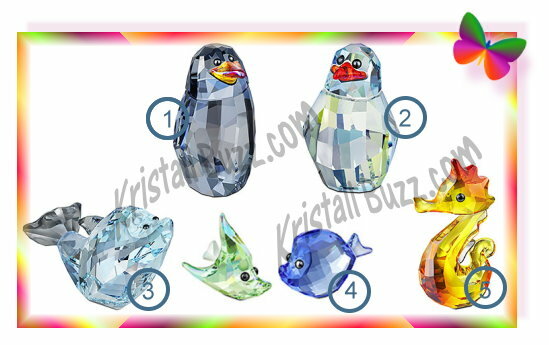 More information about the Lovable Lovlots Fish, Penguins, and Ducks can be found on the Swarovski web site! 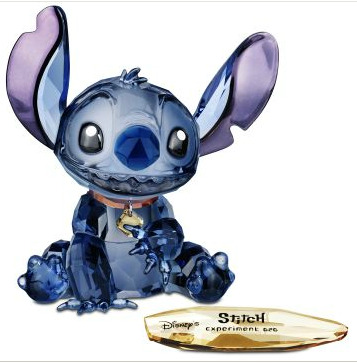 I had seen some 2012 previews on various websites, but today I noticed that some of the newest Swarovski Lovlots additions are now available for purchase directly from the Swarovski shoppe, ranging in price from $65 to $165. Lovlots Sealife Jack – 1115223. Sealife Jack is a penguin and retails for $100. Sealife Jack, and is light blue in color with a red and yellow beak. Lovlots Sealife Johnny – 1115219. Sealife Johnny is also a penguin and retails for $50. Johnny is the son of Sealife Jack (also smaller than Sealife Jack), and is light blue in color with a red beak. Lovlots Sealife Danny – 1119915. Sealife Danny is a dolphin that retails for $165. Danny is light blue with a gray tail. Lovlots Sealife Shelly & Sam – 1119916. Sealife Shelly & Sam are a couple of playful fish that retail for $90. Shelly is a light green fish and Sam is a royal blue fish. Lovlots Sealife Gina – 1121757. Sealife Gina is a seahorse that retails for $65. Gina appears to be red and yellow. While the new Swarovski Sealife characters are in the Lovlots group, I’m not seeing any mention of how they actually fit into the Lovlots city. I can’t help but wonder if the “Swarovski Lovlots” are evolving more into a “category”, and less of a community / city as it has been previously promoted. Swarovski has produced some displays, they promote for the Lovlots, but wouldn’t it be cute if they had a Lovlots aquarium and developed characters for the aquarium group? The 2012 limited edition lovlots, Swarovski Lovlots Lucky Mo, is also available at the Swarovski shoppe. If you are looking for any discontinued Lovlots Swarovski figurines, look in the “Lovlots and Zodiac” category of the Crystal Exchange America web site.